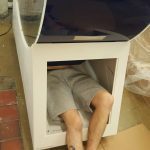 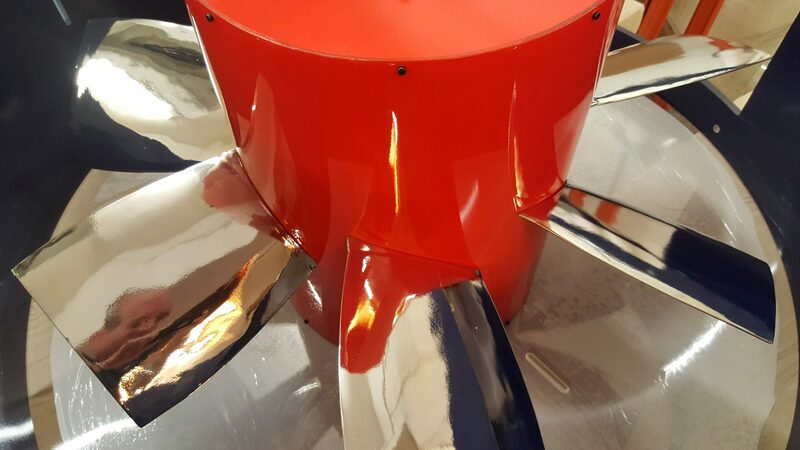 The materials we chose were dependant on the qualities that they would bring to the unit; Perspex Acrylic due to its excellent clarity for the main body and face panels in 10mm and 15mm, GRP fibreglass for its strength for the nose cones and turbine blades, Hi-Macs by LG for its unbeatable aesthetic feel and resilience to staining and scratches for the main base unit. 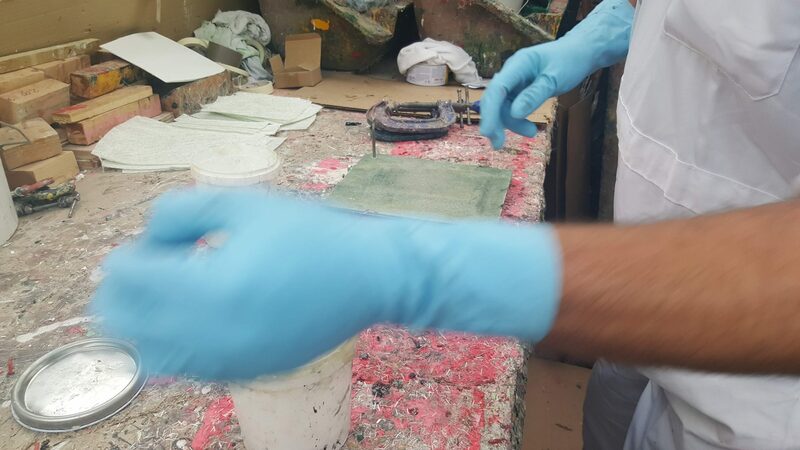 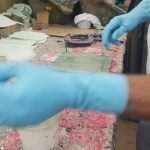 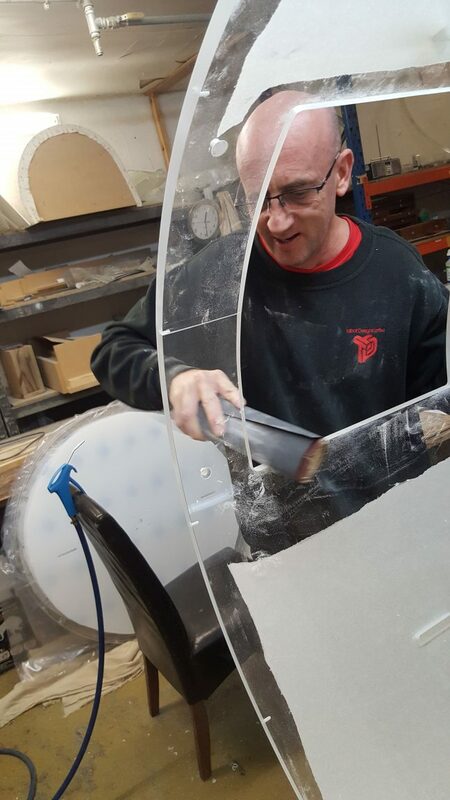 Our ability to work with new materials and learn quickly allowed us to mould and fabricate the Hi-Macs® bases into wheeled support units resembling the chocks used in aircraft. 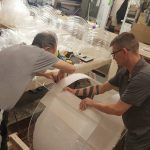 “A most ambitious undertaking” we were told especially as we hadn’t worked a huge amount with the Hi-Macs® material previously but as usual our team delivered. 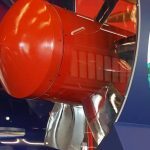 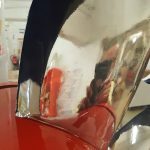 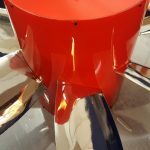 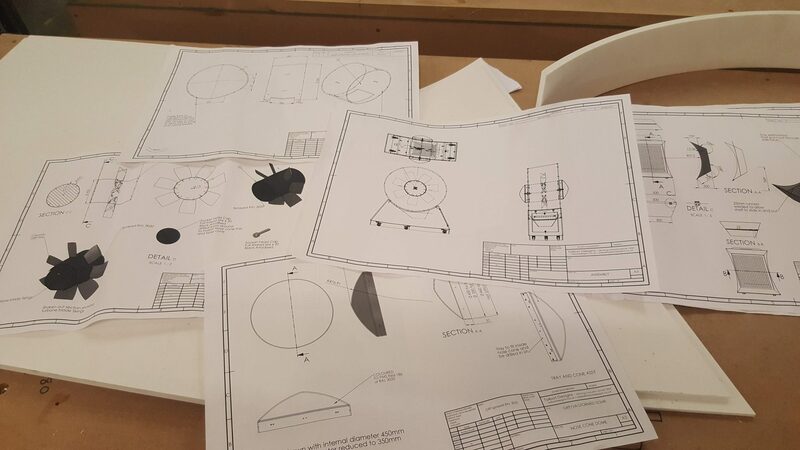 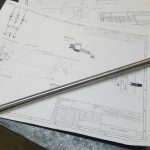 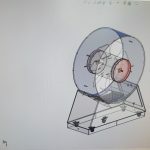 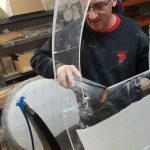 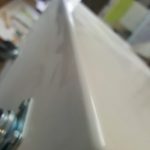 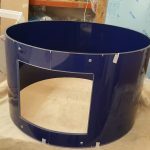 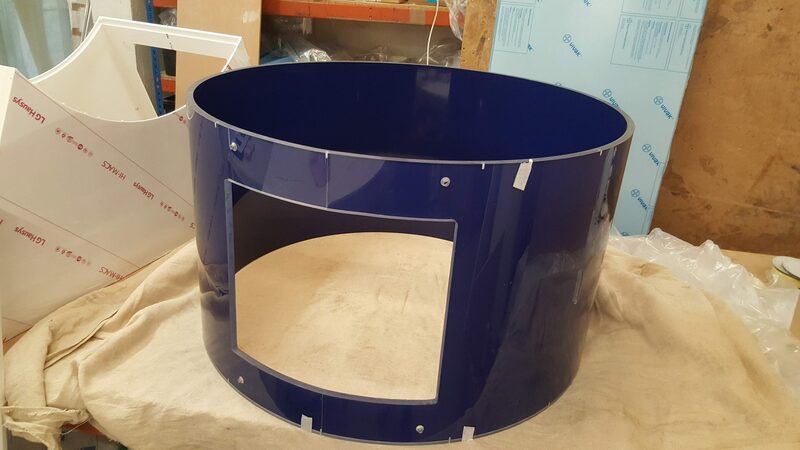 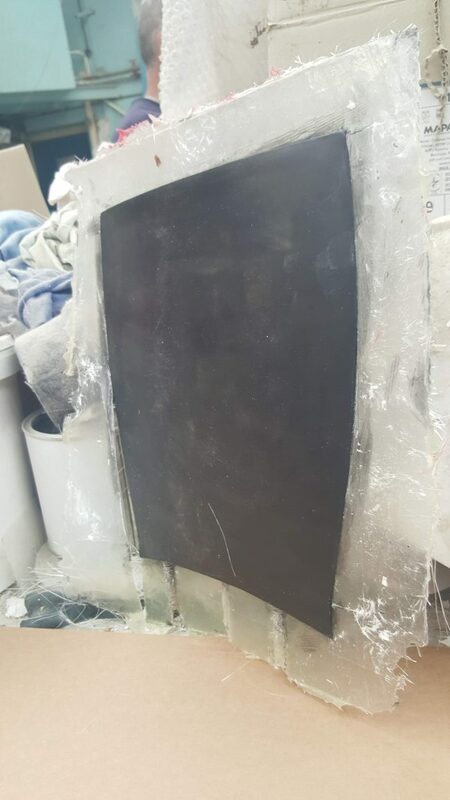 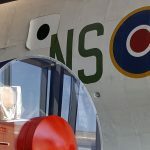 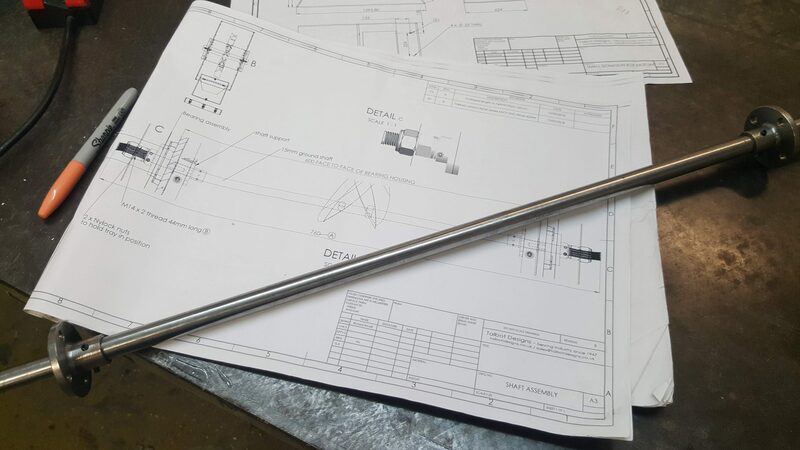 However our ability to work with acrylic is very well known and we produced a series of beautiful cylinders with a spinning rotary turbine “engine” that was connected to the nose cones on the exterior face. 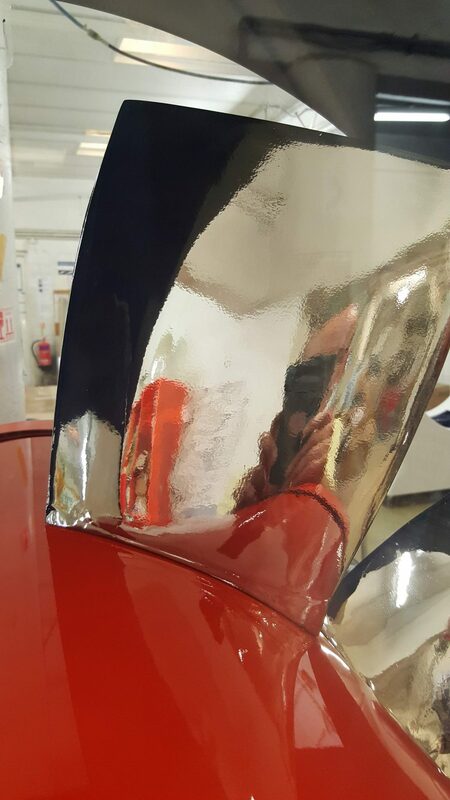 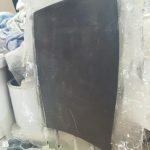 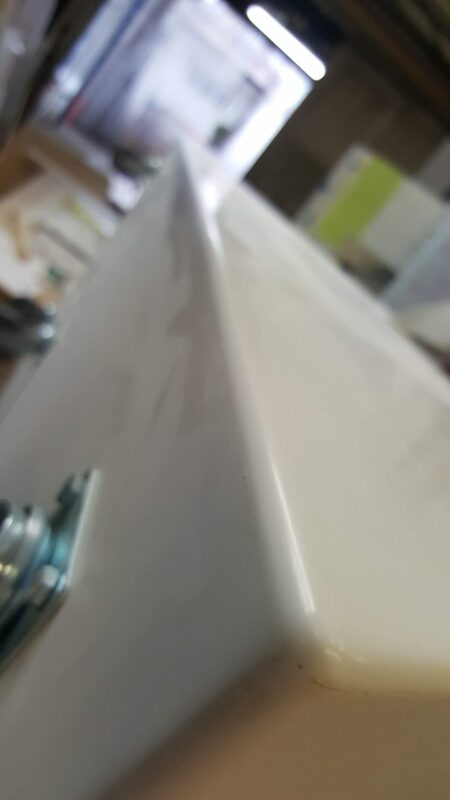 The turbine blades have been chromed to look like cast polished aluminium. 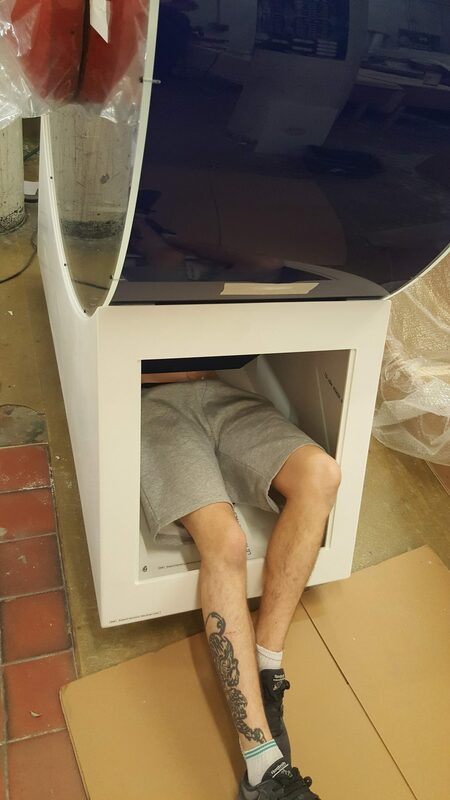 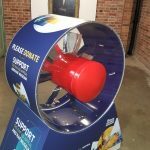 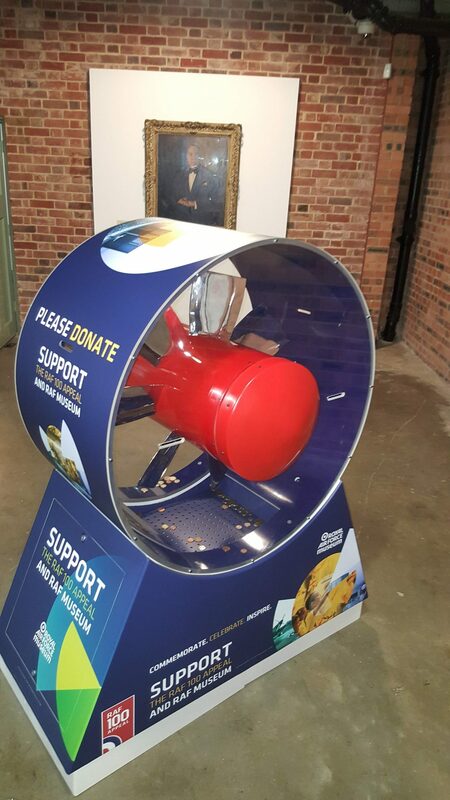 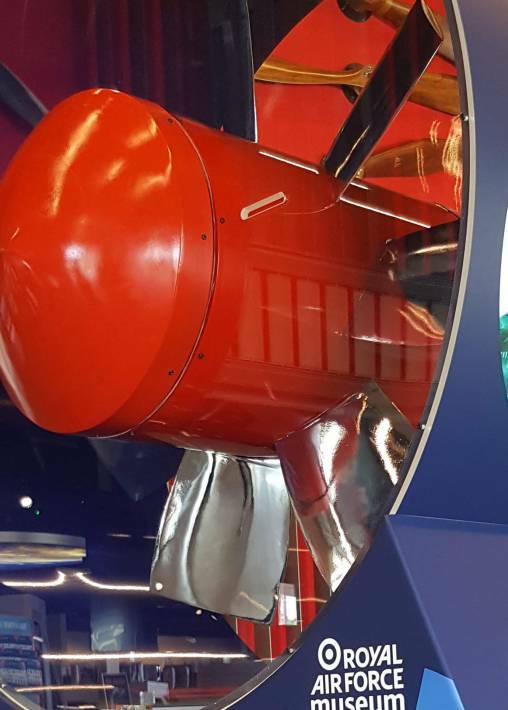 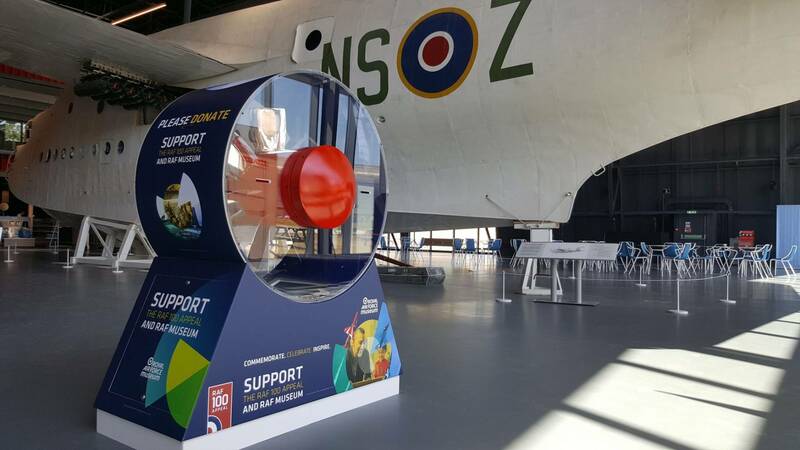 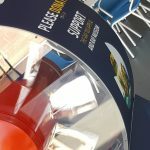 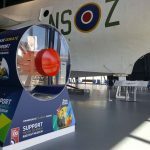 The nose cones are manually rotated to make the “turbine” spin which is a great interaction with visitors before they donate through the slots. 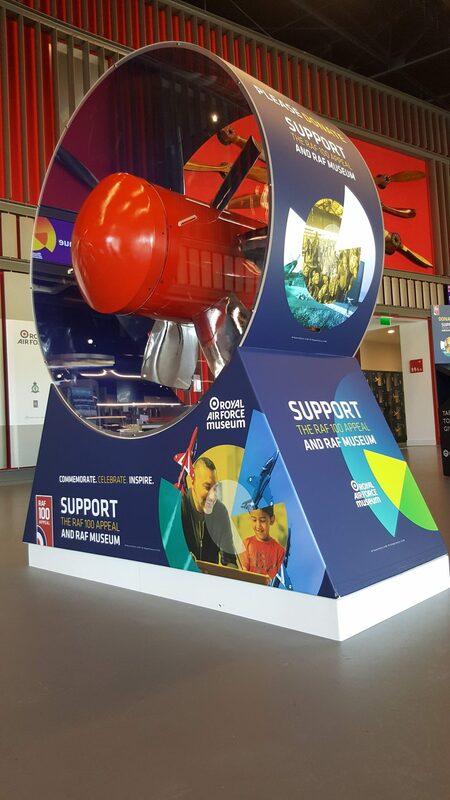 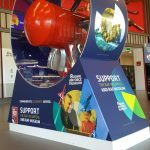 All of the items were designed with the RAF colours in mind and this was achieved by using 10 year exterior grade vinyl on the inside of the cylinders and powder coating and wet spray on other components. 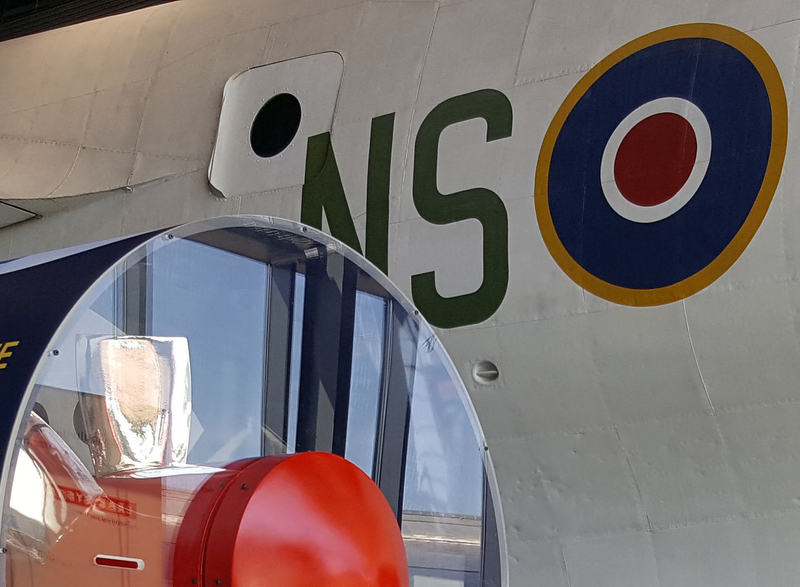 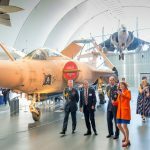 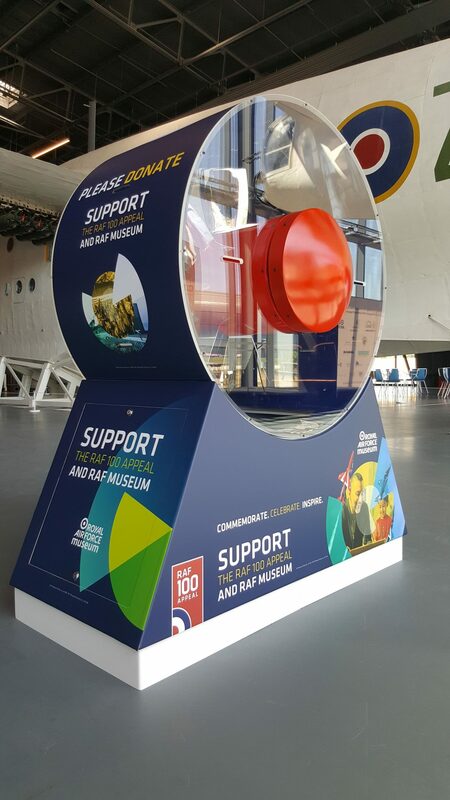 ‘As part of our Museum transformation it was important to ensure the visibility of the Museum as a charity and to make it easy for our visitors to donate. 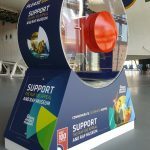 We worked with Richard Woolff of Talbot Designs to produce distinctive and effective donation boxes for our sites in London and Cosford. 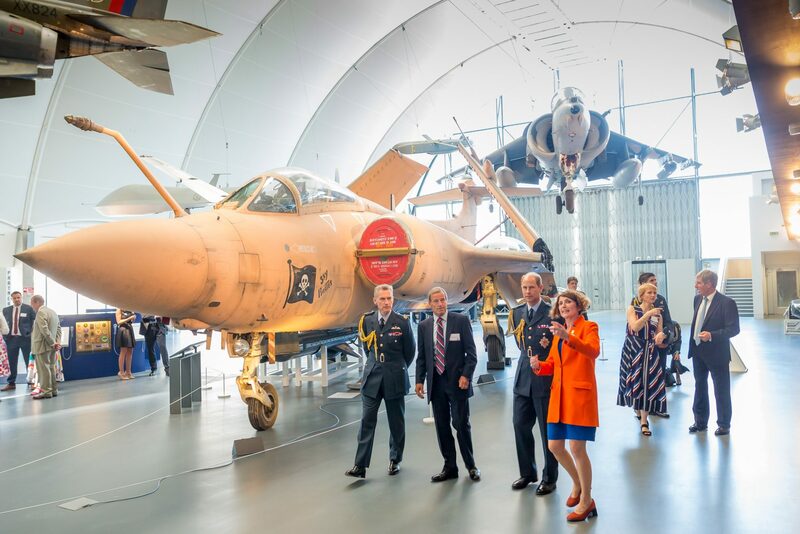 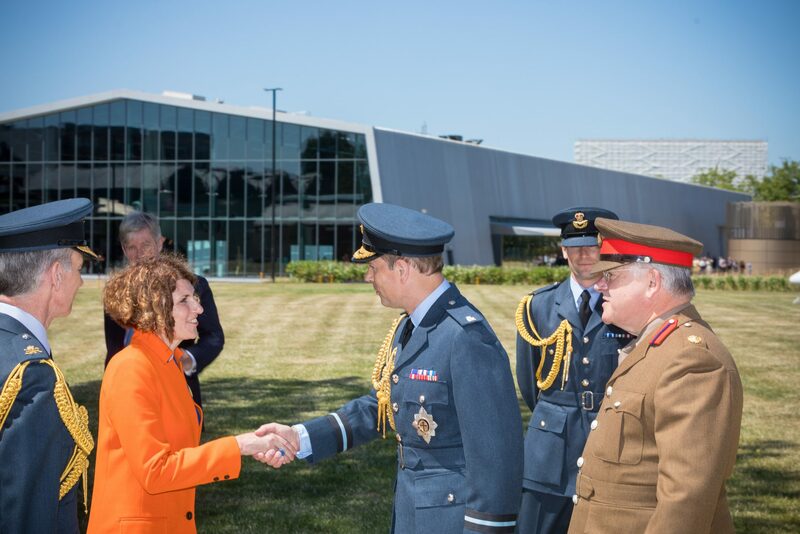 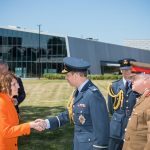 The time frame was tight in order to meet our opening deadline of 29th June, the Royal opening of our London site following a £26m refurbishment. 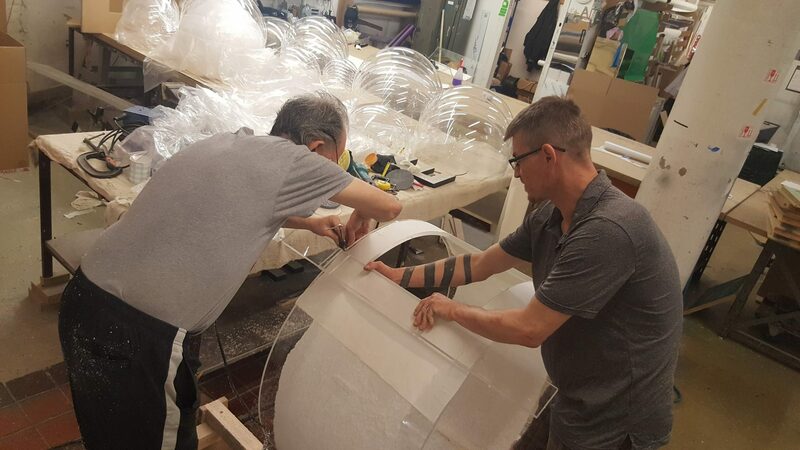 It was exciting to visit the Talbot Designs factory in Finchley to see the progress being made during the manufacturing process. 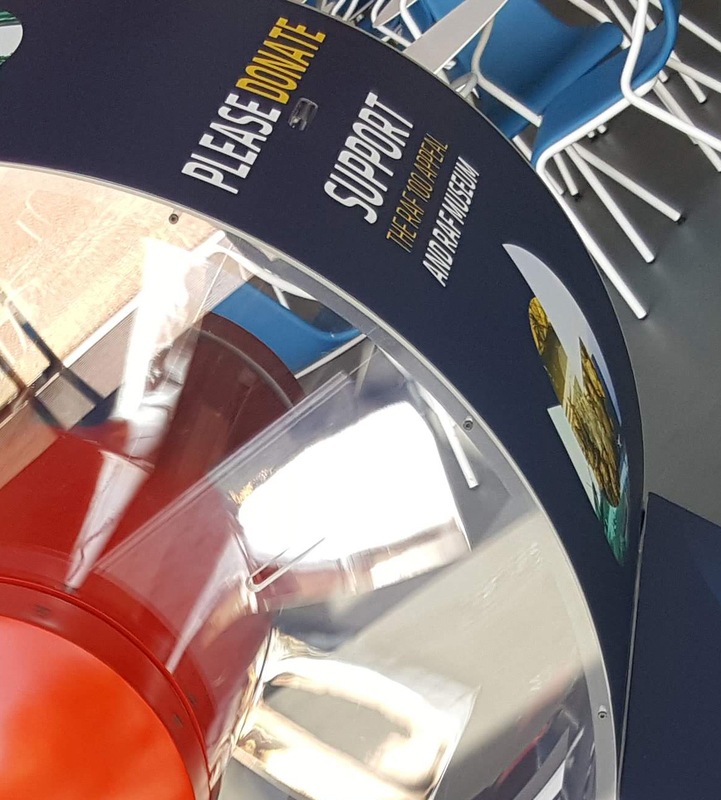 We are delighted with the Donation boxes and impressed with the professionalism of the Talbot Designs team’. 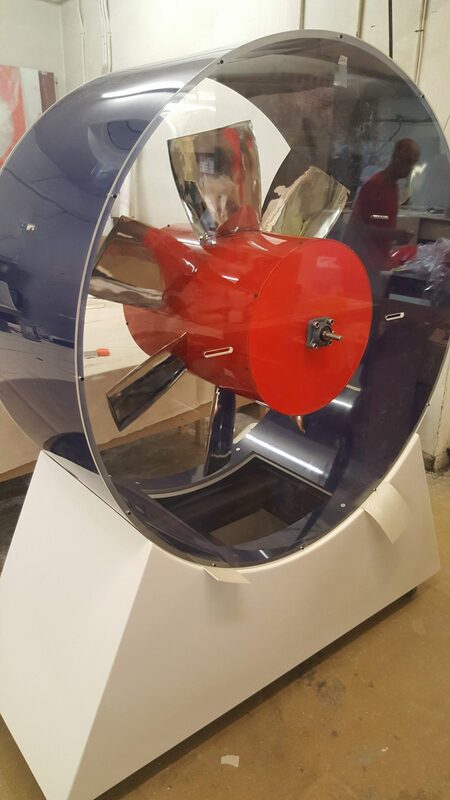 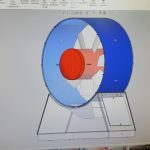 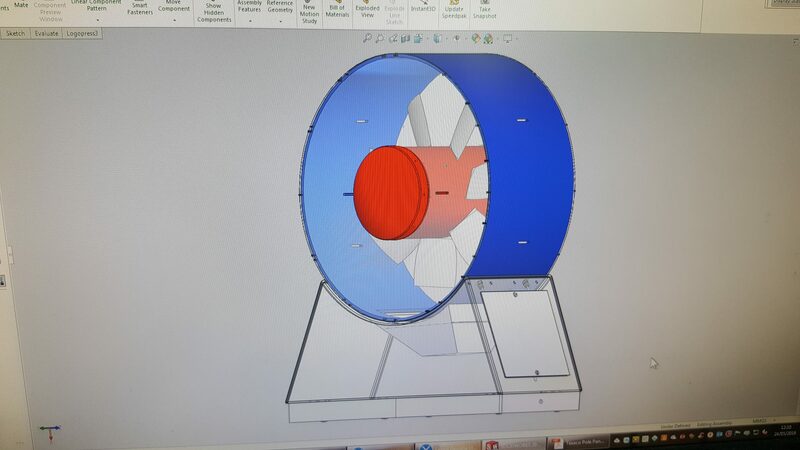 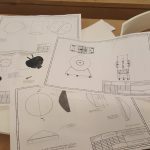 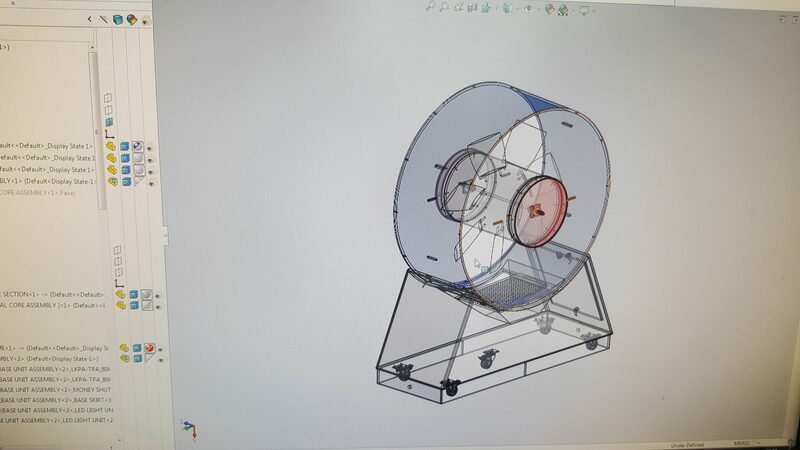 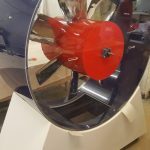 So far everyone concerned with the project has been impressed with the end result as are the children who are determined to see who can spin the turbine the fastest !